“I don’t want to leave,” I whined to the boy as I looked at the purple hued mountains that had finally cleared of mist. “C’mon,” he said, grabbing my hand and nearly dragging me along the pavement due to my feet having firmly frozen themselves to the tarmac. 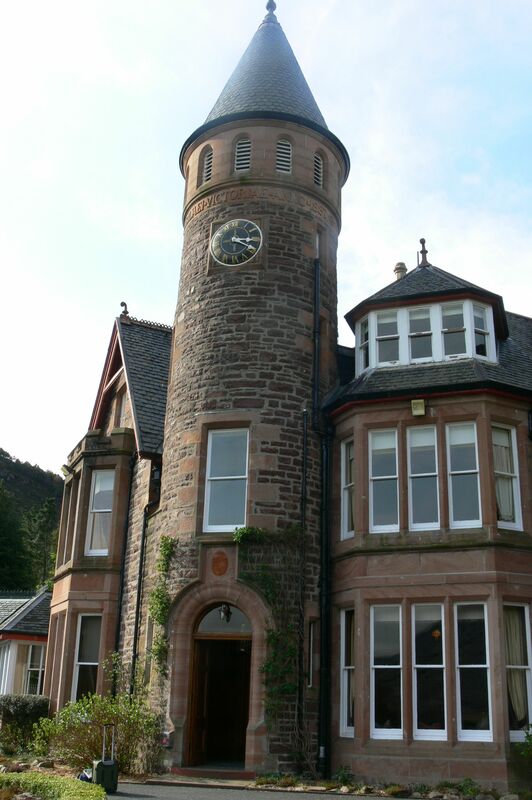 The day before we’d arrived at The Torridon hotel, which sits at the base of Loch Torridon in the far west of Scotland. A former stately home, the space has been converted into one of the most blissful places I have ever rested my head. 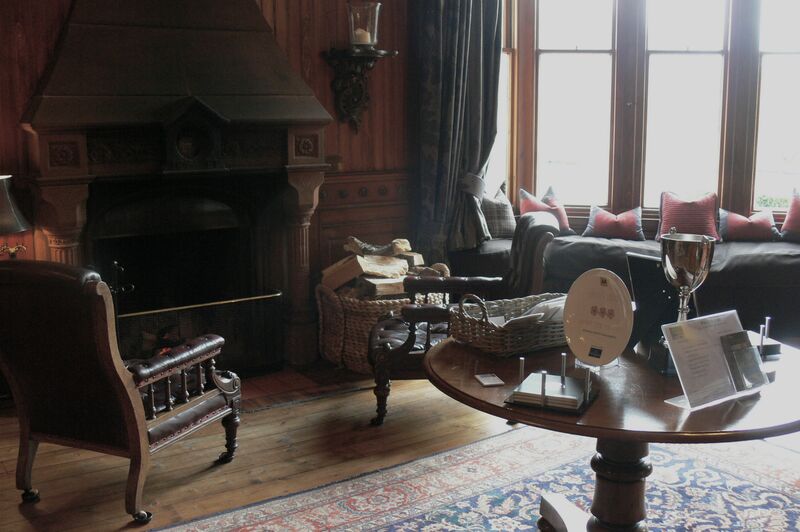 With crackling fires that beckon you in from the cold, to cosy drawing rooms filled with chess sets and walls lined with whisky, the Torridon exudes a certain level of relaxed opulence I have yet to find elsewhere in my travels. The warming entrance with smoky, crackling fireplace. In our room, which looked out onto the vast mountain landscape, was a bed so plush and high, I had to do a little leap up to get onto it. In the bathroom, a roll-top bath and REN products awaited to warm my bones, chilled from the feisty Highland air. After settling in, we – like every guest – were treated to some lovely hot coffee and shortcake in the comfort of the drawing room. Tastefully decorated and holding on to a certain “classic” charm, the room is a welcome space to sit back in the large leather chairs and look out onto the manicured and misty gardens out front. 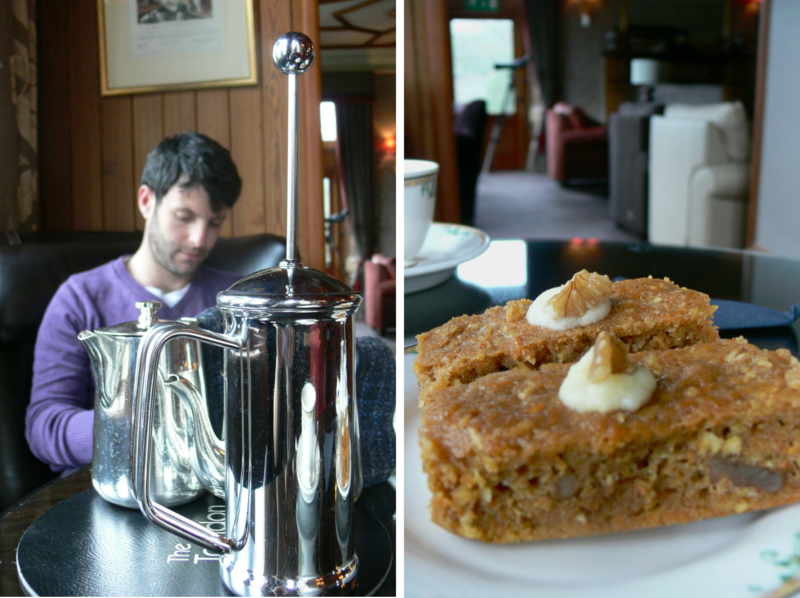 Coffee & delicious delights awaited us in the drawing room. 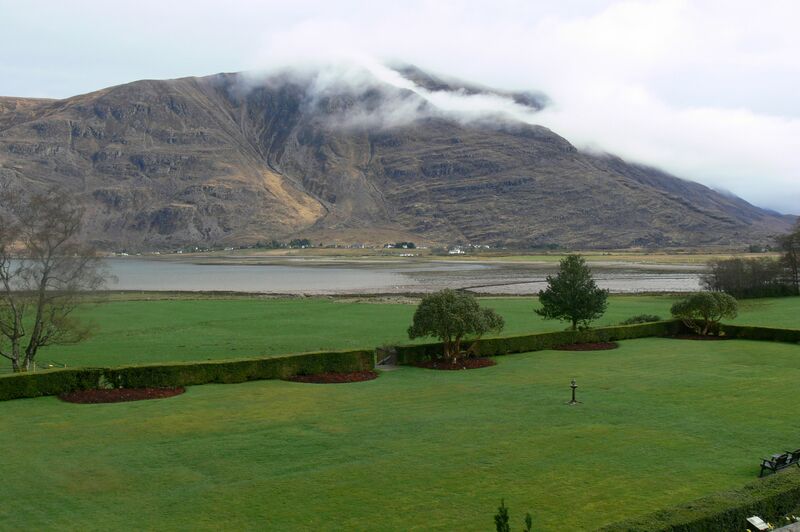 The Torridon has 58 acres at its disposal, which include long walking paths, gardens and a lochside boating launch. The boy and I put on our walking shoes and headed around the squelchy paths, taking in the fresh air so uncommonly found in Londontown. A kitchen garden, filled to the brim with various herbs, spices and veggies, was reassuring: everything that can be grown for the food served at the hotel’s AA three Rosette restaurant will be. That includes the friendly, shaggy highland cattle which munch happily nearby, not knowing their fate but at least allowed to roam and be as natural as any creature should be if it’s going to be eaten. There is a separate inn onsite which includes a pub. As it was Sunday, the boy and I stopped in for a swift pre-dinner pint – a perfect remedy after all that muddy trekking. 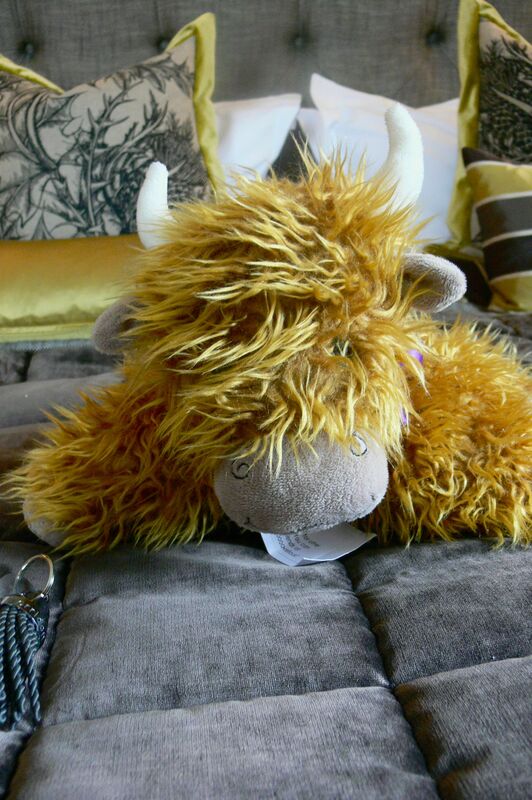 A Highland Cattle soft toy in our room - just as cute as the real version! But the final and, potentially, most rewarding part of the evening came with dinner: five courses of delectable delights starting with the sweetest mini eggs benedict amuse-bouche and a starter of creamy, sweet almond soup. 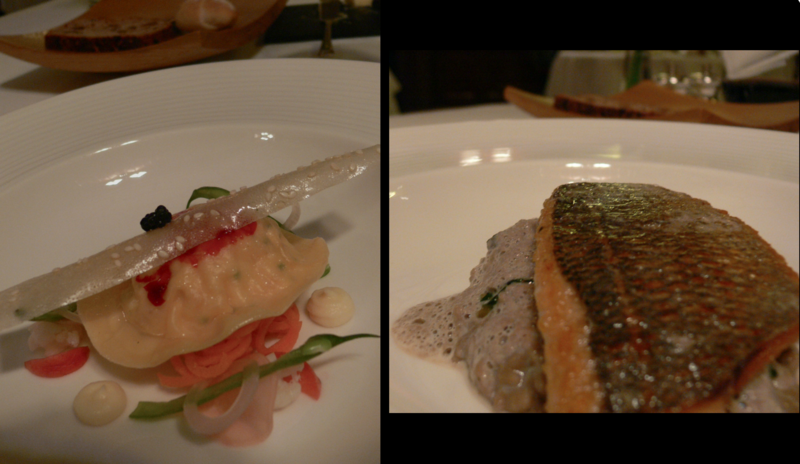 A starter of handmade, juicy lobster and crab ravioli, and mains of tender guinea fowl and the best sea bass fillet I’ve ever had, followed. The delicate yet fully flavoured food of the Torridon. After dinner, over a raucous game of chess and a cheese platter, I sat back and thought about the day – how far we’d traveled in the rain and how warm I felt now. I can truly say, the stress had completely left me by this point and I think it was the most relaxed I’d felt in months. 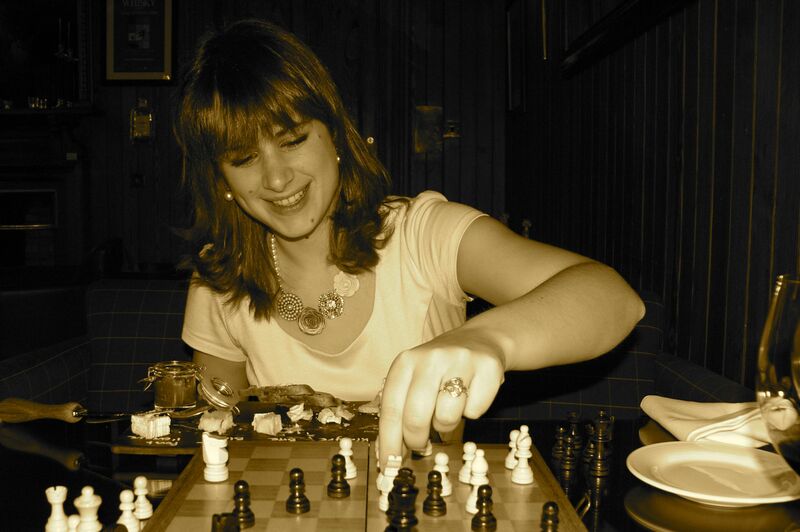 Chess and cheese: my kind of night! “Don’t go onto the moors,” quipped the boy in hysterical voice as we drove through a particularly craggy area of northwest Scotland. Rolling my eyes to look confident, I quickly looked out the car window to see if there were any boogeymen following us. “We’re not in Yorkshire m’dear,” I responded once clear we were not being tracked. You see, northern Scotland has this effect. It’s misty and rocky, slightly desolate and, in our experience, often grey. But, like Ireland, it has a certain appeal in its darkness. We’d arrived in the Highlands the night before having stopped off in Inverness after a very long train journey up from London. 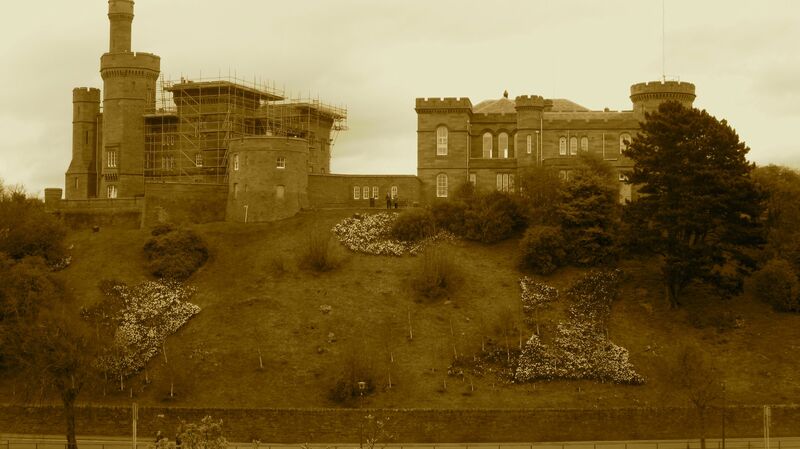 The town was lovely – quaint and proudly Scottish, with a compact castle sitting atop the hill and the crystal clear River Ness running through. But, being keen to get into the countryside, we headed off early the next day to see just what this part of Britain had to offer. Driving south along the B852 we took the less-touristy way around Loch Ness, determined as we were to find some monsters. If you’re in this area, skip the west side of the Loch (with its wider road and hoards of traffic) and opt for the thin, winding road along the east side of the Loch. It’s quieter and the road rises into the hills, allowing a dramatic views from up high. After driving back up the west side of the Loch (which one must do to connect to the direct route west) we were taken through more beige and rusty red landscapes, along slim roads where one must pull into small passing points constantly. For those not raised in the UK and who are used to wide highways for most of your driving, this will probably raise a few hairs on the back of your neck – more so even than the thought of a monster wandering by. I’ll never get used to having to reverse on a roadway when another car comes careening around a corner and there isn’t enough room for both vehicles! But, even with the fear, it was beautiful. Loch after shimmering loch appeared from out of nowhere, wedged between rolling hills and mountains still topped with fresh snow. Even looking at the scenes made me chilly and I suddenly understood better why the Scots love their whisky so much. Mizzle was the order of the day in the Highlands.